They say a mom's life is all about balance, and I must agree. I really do. The older and (hopefully and arguably) wiser I get, the more I notice my days are getting looooonger. Seriously, a mother’s job is never done. We have to look closely at every stage of our child’s life including the best moments and challenging ones, while keeping one eye on our kids' health. That’s not even taking into consideration the effort that goes into looking the part while I do it (it’s called rocking and working in style, yo!). 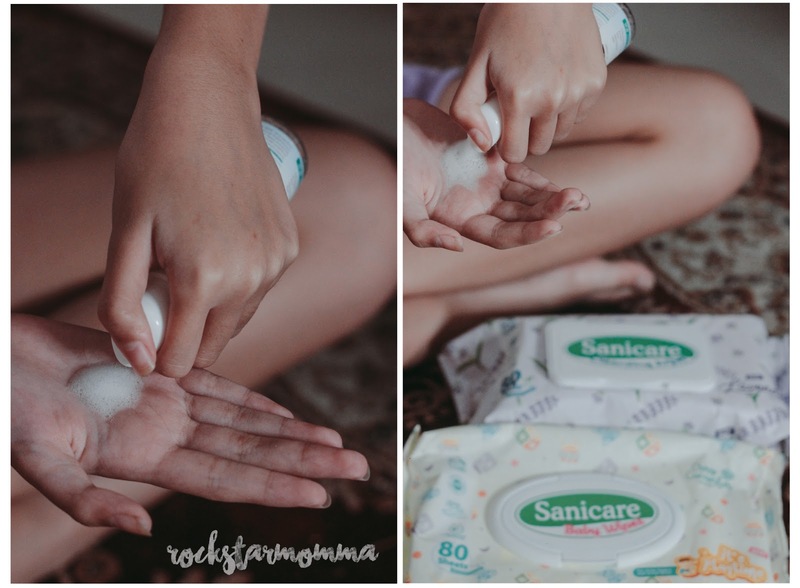 When it comes to the hygienic side of things, medyo OC (obsessive compulsive) ako, so thank goodness for Sanicare, makers of quality personal hygiene products, that has been my trusted hygiene partner for my growing little ones. For moms like me, having a go-to hygienic choice is a respite from all the decisions we have to make everyday. That is really all Sanicare aspires, to give its customers one less worry at every stage of their life. Now that it’s pouring in most parts of the country, the rainy season brings a lot of worry about our kids being sick if they get drenched in rain or catching an infection like Leptospirosis. Eew, I hear you say from behind your laptop, and I feel you. But protecting your kids from germs and harmful bacteria doesn’t have to be super hard, promise! As such, I’ve come to rely on a few rainy day essentials to wipe my worries away! I like to think of myself as cray cray (in a good way!) about the stuff I buy for my kids. 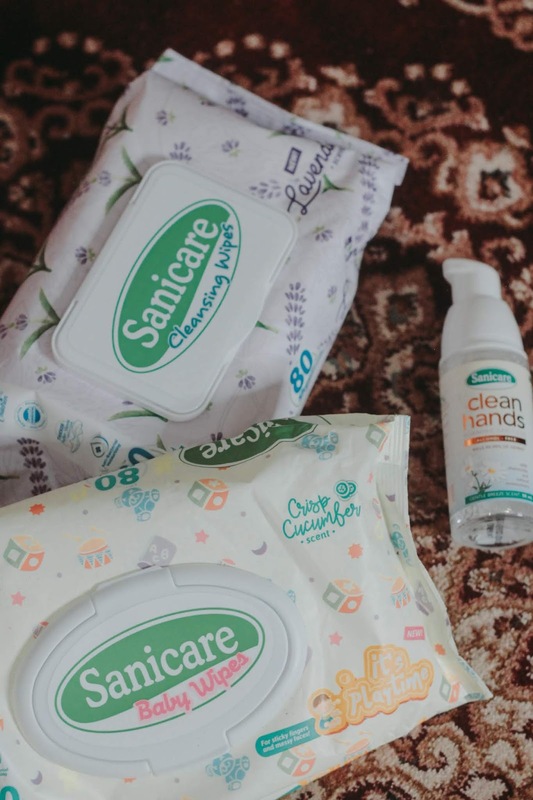 Aside from investing in a good quality umbrella or a complete rain gear that is handy and comfortable for the kids, Sanicare Clean Hands and cleansing wipes are absolute must haves! If my tots get accidentally soiled or if I need to wipe him clean somewhere, these Sanicare wet wipes are super useful. That's why I always keep a pack of wet wipes with me. Formulated with mild ingredients and safe on skin, I don't have to worry about irritants and allergies. I also love the mild and crisp cucumber scent of the Sanicare It's Playtime wipes. Yasss! 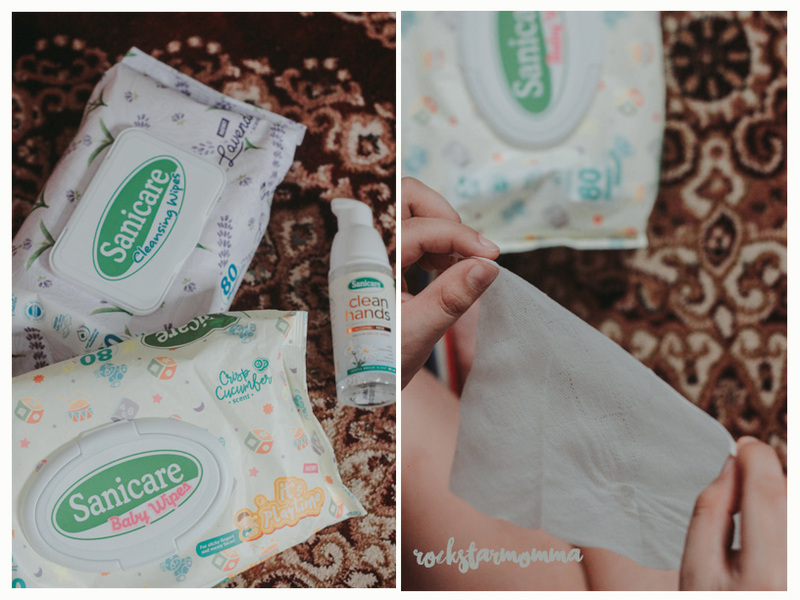 Sanicare has wipes na specifically for babies (Sanicare It's Playtime Wipes) and wipes for bigger kids aka me. I use it to remove my makeup, or to clean items that have been drenched in the rain. It comes in packs of 80, 35 and 15 sheets. 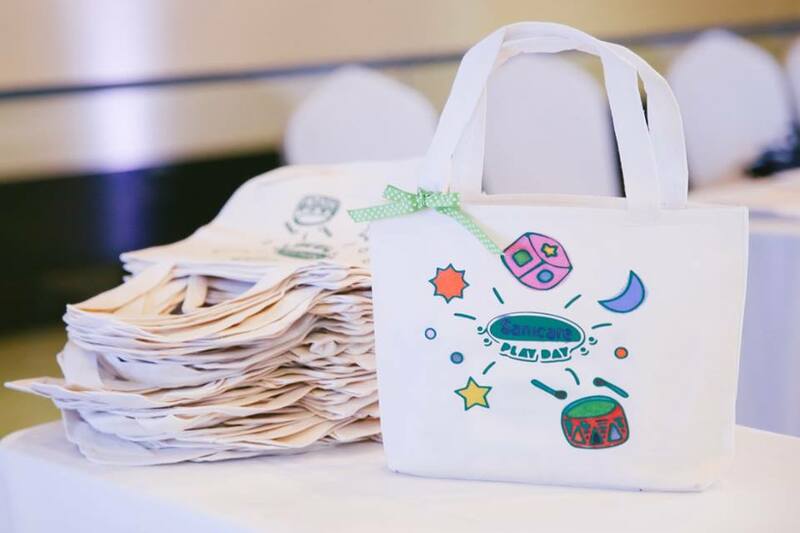 Plus, I really love their new line, the lavender scented wipes that was launched earlier this year. 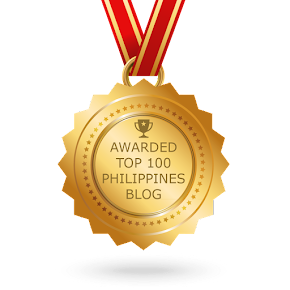 Plus, Sanicare gives value for your money because all their top quality products are reasonably priced. So, mommies, we don't have to worry about our weekly budget. It's also a must to wash your hands before and after eating, and after using the toilet. But at times when you can't find a wash room or comfort room, this is when the Sanicare Clean Hands Foaming Sanitizer comes handy. I got my daughter a small sanitizer that she can keep in her hygiene kit, and I always let her know that she can quickly clean herself up with a sanitizer anytime. 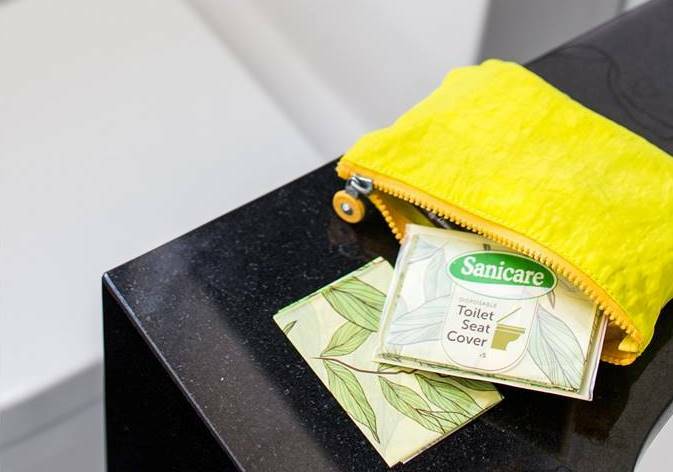 If you haven’t already noticed, I’m crazy about cleanliness especially on public toilets, so I always bring a pack of Sanicare toilet seat cover! 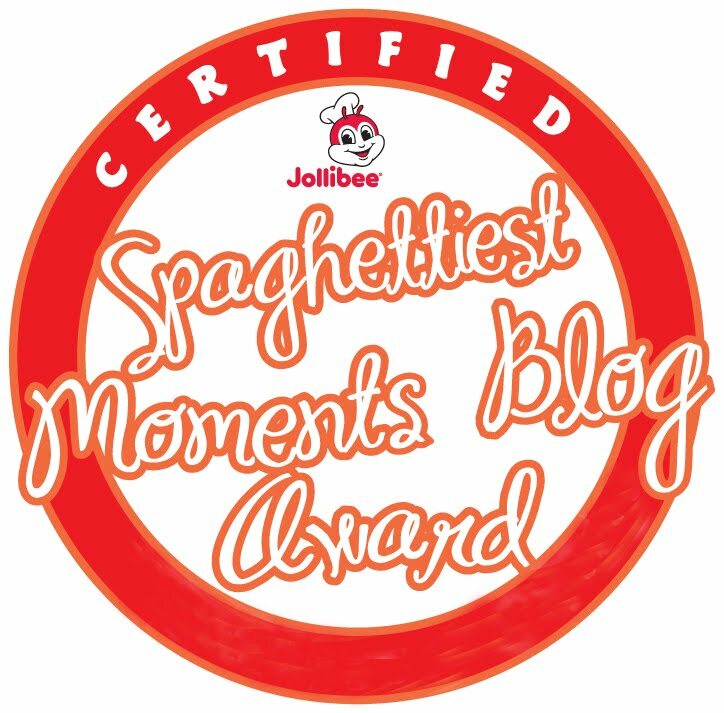 It’s a must have when we are out or traveling. 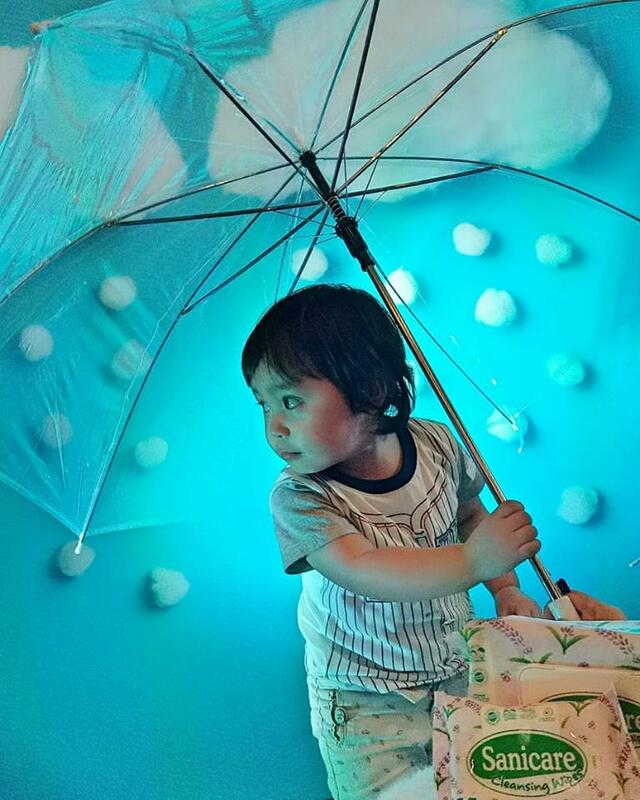 No matter where my kids are, I'm worry-free because they have these things to keep them safe and they can continue being the fun-filled kids they are and enjoy the rains to their fullest. 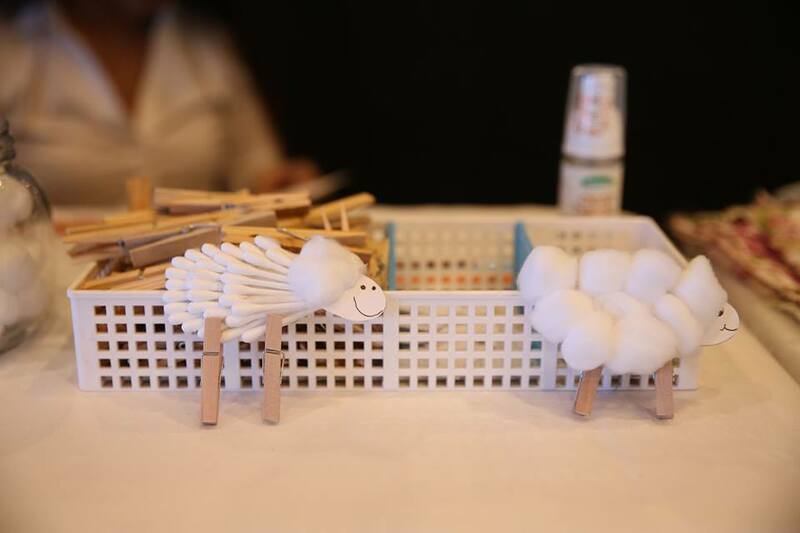 Lovely booths were set up to highlight different life stages so moms and kids can choose the best fit for them. I personally love love love the lavender and cotton ball installation. Cute! The kids took home hand-painted souvenirs. Maia really enjoyed designing her own eco bag. 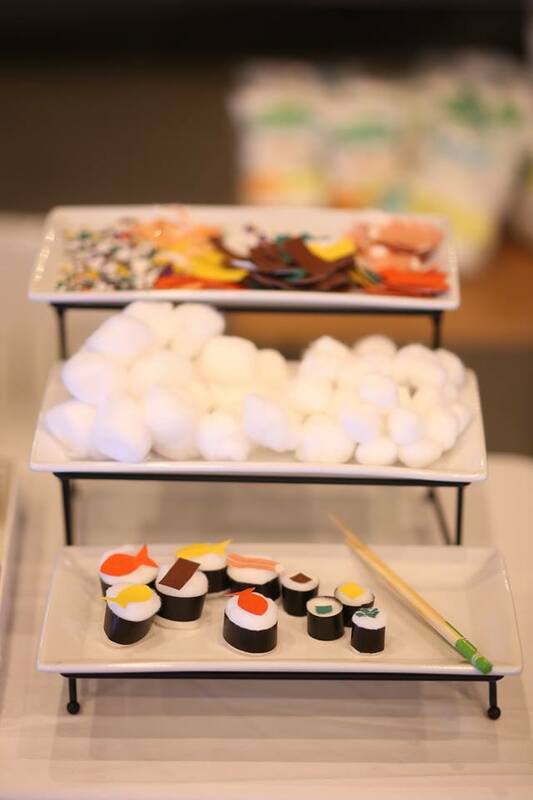 Kids also had a blast with arts and crafts, as they made their own cotton bud animals, cotton ball sushi and paper towel headband stands. I also learned useful mommy tips and hygiene hacks from celebrity mom and Sanicare’s first brand ambassador, Bianca Gonzalez-Intal. Bianca, who is expecting her second child, also celebrated her first anniversary as the brand’s ambassador. 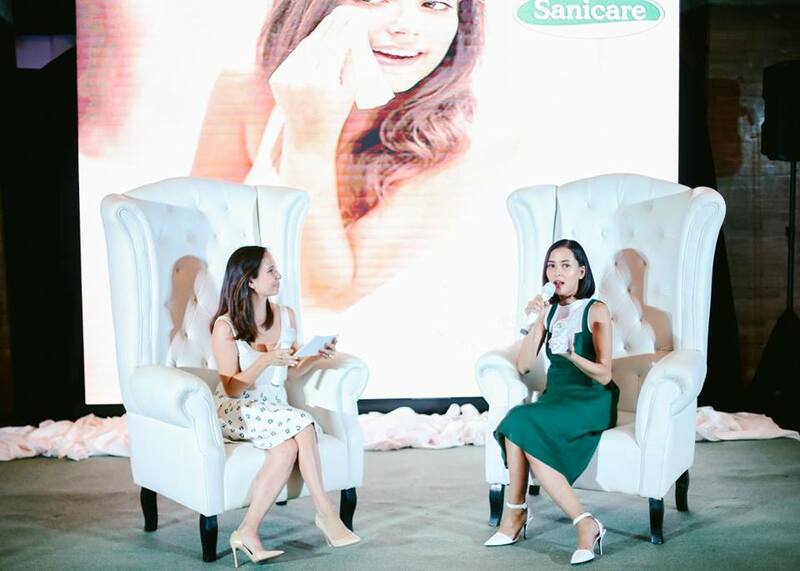 She shared how Sanicare products have been by her side during most of her life, from living with her parents to becoming a mom herself. 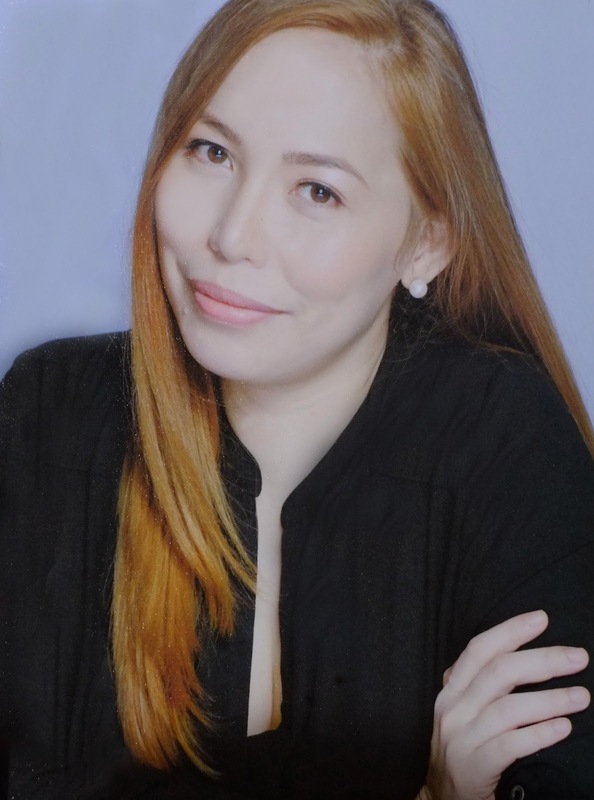 Hygiene Hacks from Mommy Bianca: Always remember to keep hygiene fun and teach hygiene by example. Kids follow what they see and will definitely pick up on your hygiene habits! These habits will definitely stay with them throughout their teen and even adult years. Also, an informative and relatable video in line with Sanicare’s Life Stages campaign was presented as well. The #OneLessWorry video communicated the idea that our worries change and increase with each life stage. 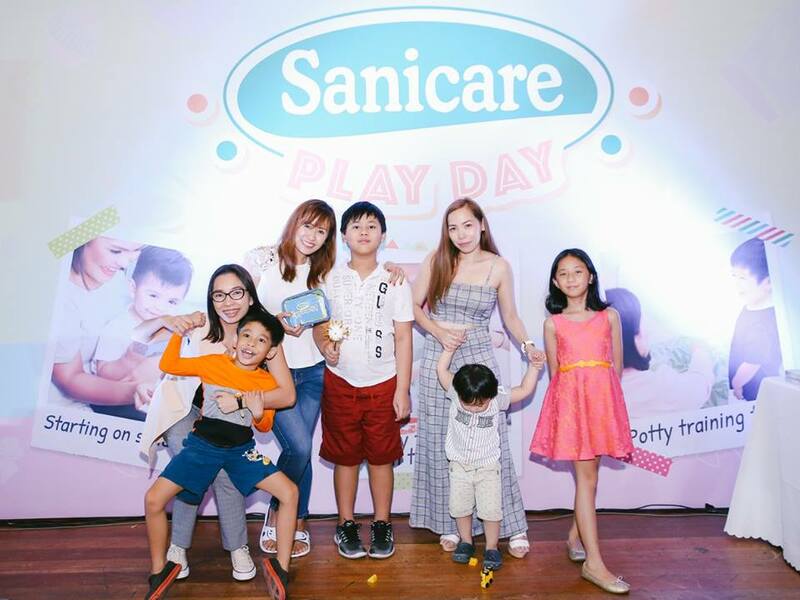 It captured Sanicare’s commitment to being everyone’s hygiene companion in all of life’s adventures, giving everyone one less thing to worry about. With my little Yuan, ate Maia and my loves #BloggerBabes Rochelle and Kaycee and their super cute kids! Of course, the mommies had a blast too, as we posed for pictures. Happy to report that everyone had fun at the Sanicare Play Day! 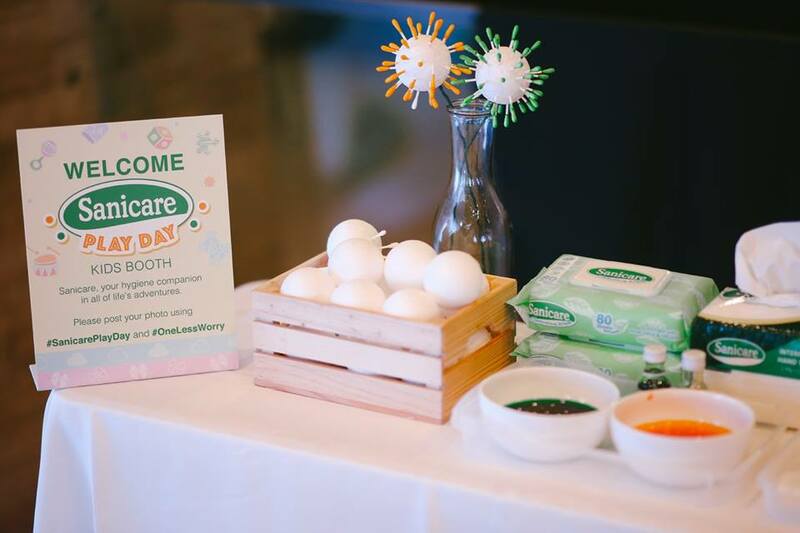 Thank you, Sanicare, for having us! 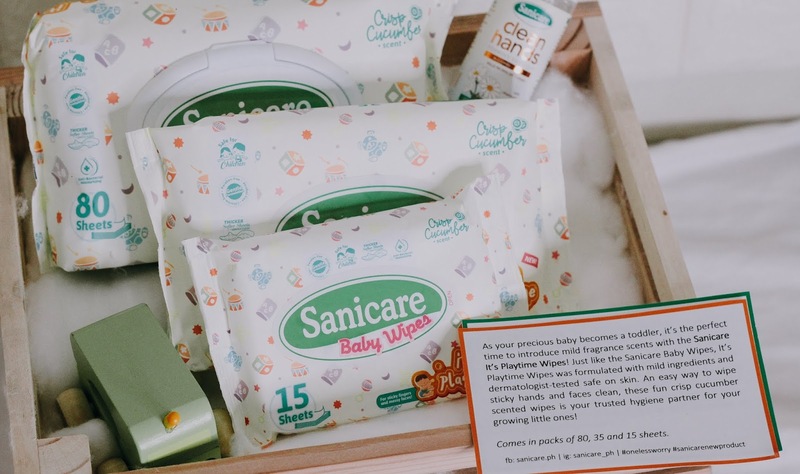 To know more about how Sanicare can be your hygiene companion in all of life’s stages, you can visit the Sanicare Facebook page here: https://www.facebook.com/sanicare.ph.